Since April 2016, Prof. Dr. Ralf Elsner has been the Faculty Director for the Marketing & Sales department at the ADG Business School. Professor Ralf Elsner advises leading, German e-commerce and mail-order companies and teaches as a lecturer at the German Dialogue Marketing Academy. Additionally, he also wrote several seminal, scientific publications. 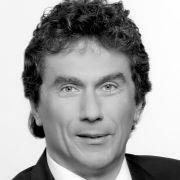 He is the Managing Director of RHENANIA Verlagsgesellschaft mbH. After completing his studies in economics, he did his Ph.D at WHU - Otto Beisheim School of Management / Vallendar.